09 Nov Google Tag Manager Made Easy! Google Tag Manager (GTM) has been getting a good deal of notice lately, but what exactly is it, and – more importantly – does your company’s website really need it? To answer the second question first, yes! That is, if you want to collect more data about your visitors than with Google Analytics alone, do it faster and easier, and even improve your site speed. As for the first question, there are answers that are relatively easy for a non-coder (like, presumably, most of us marketers) to grasp, and those that can only be comprehended by pros in the rarified web development sphere. In the interest of preventing confusion and frustration for our audience members, we provide this down-to-earth look at how GTM can benefit your business. To begin with, a tag is a type of code that can be added to your website. It collects information and sends it to third parties. As defined by Analytics Mania, a GTM tag may be Google Analytics tracking code, Google Analytics event codes, AdWords conversion script or remarketing tags. 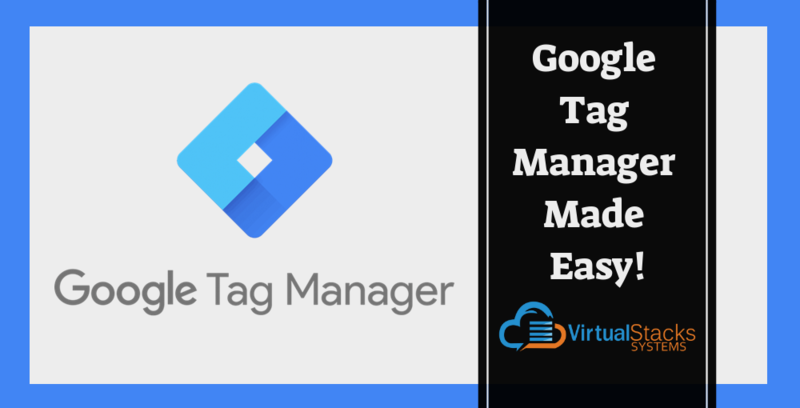 Google Tag Manager is a free software from Google that allows you to install various types of code (tags) to your website (including WordPress sites) to allow tracking of specific types of activities – such as monitoring form submissions, conducting surveys and tracking how visitors arrive at your site – just to name a very few. Despite being a Google product, GTM plays well with third-party tags, such as Twitter, Bing Ads, Crazy Egg and Hotjar. You can also add your own custom code, although we’re now venturing into coding pro territory. For marketers, the big advantage is that GTM makes it easier to implement tags without intervention from the web developer – who is typically glad to keep these projects off of his/her plate. That’s because GTM doesn’t touch the source code, which allows you to add and make changes to tags on your own. Petteys points out that this is especially helpful if you only need a tag to collect data for a brief amount of time. The ability to add and edit tags on your own helps both small and enterprise-level businesses – the former, because of their limited access to technical support – and the latter, because GTM makes it easier to manage their website’s numerous tags. Let’s back up to consider the “people will leave without converting” part. Our blog post of April 23, 2018 – “How to Use Smart Web Design to Boost Conversion Rates,” served up the findings of Google’s engineers that potential customers will visit a website less often if it’s slower than that of a close competitor’s by more than 250 milliseconds. According to a study by the Aberdeen Group, a one-second delay in page load time results in a 7% reduction in conversions – thus making an excellent case in and of itself for using GTM. For more on this subject, our February 6, 2018 blog post – “Seven Ways to Increase E-Commerce Conversions in 2018,” covered additional helpful steps in this direction. In addition to tracking website visitors and other analytic functions, GTM allows to set up an easy A/B split testing tool. While important, Trinity Insights acknowledges that few marketers actually have the time and budget to continually brainstorm and test new ways to do things. You’ll also be sure your tags will work before you publish them to the live website. According to Trinity Insights, The Next Web “… wanted to run A/B tests but couldn’t justify the cost of $5,000 per month software because they couldn’t prove the tool would provide enough incremental revenue to cover — if not exceed — the actual cost. Google Tag Manager – Here to stay! Analytics Mania observes that while Google has been infamous for killing many of its products, GTM shows no signs of falling victim to its fickle whims. The usefulness of this tool should ensure its continued popularity for many years to come. Of course, keeping up with Google, and all developments that affect the function and conversion rate of your website, is a full-time job – one that our team at Virtual Stacks Systems lives and breathes! Contact us for website design and redesign, SEO services, social media marketing, video production and so much more!